Try our salted egg chips, salted egg potato chips, salted egg fish skin, and more delightfully delectable snacks here at Tiny Red Dot. All our chips are freshly made and carefully crafted. 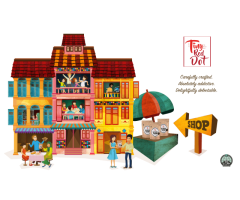 Visit our online shop at https://www.tinyreddot.com.sg/ today!